“We’re in a corner and we need to back out of it,” UGA freshman Derek Ogbeide told a group of reporters earlier this week. Georgia has taken one step closer to doing just that, claiming a crucial 74-72 victory against one of the SEC’s best in South Carolina. In the first half, Gaines came out firing as he totaled 14 points in the first 20 minutes. Junior guard J.J. Frazier took over down the final stretch, nearly recording a triple-double with 19 points, 9 rebounds and 7 assists. 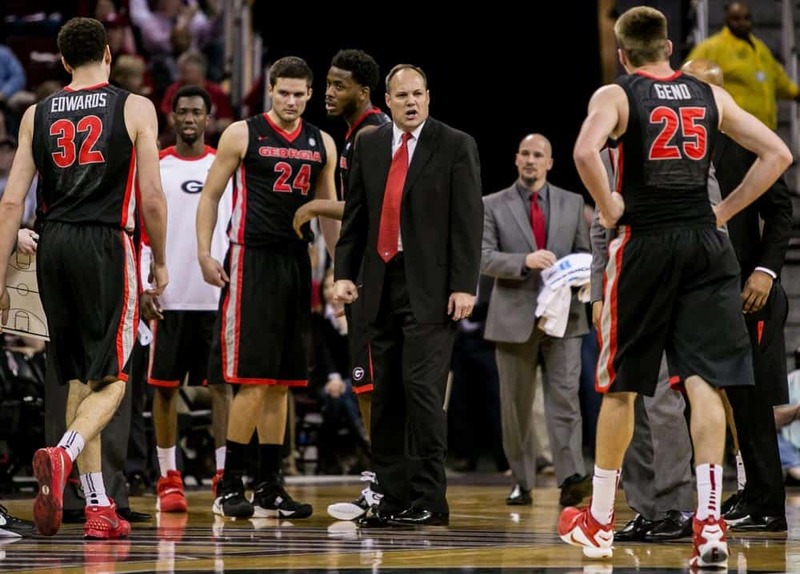 Frazier and the Bulldogs continue to maintain a never quit mindset. “We know who we are as a team. We know who we are as individuals. We take the identity of our head coach. He doesn’t quit, we don’t quit,” Frazier said to a group of reporters after the narrow victory. Georgia’s mindset was conveyed by the fight in senior guard Charles Mann. He had reportedly been dealing with a stomach illness before tonight’s game, and had “visited the bathroom” at halftime. Despite not being at 100% health, he persevered and made big plays down the stretch in order to win. Georgia had issues valuing the basketball, coughing it up 19 times. In order to stay in the game, the Bulldogs had to be solid defensively, and they did just that. The Gamecocks went through multiple dry spells, and while Georgia didn’t take advantage on all of those stretches, they were able to gain a bit of momentum in which led them to victory. Gaines, who had an impact on both ends for the Bulldogs, spoke on what South Carolina brought to the table. “It was definitely a physical game, and you can expect that from South Carolina.” He reiterates the importance of this game, and how it can serve as a tune-up for conference tournament play. Mindaugas Kacinas led South Carolina with 21 points and 5 rebounds, as he gave the Gamecocks a legitimate chance toward the end, threatening Georgia’s defense on the perimeter. Georgia will wrap up the season at home against Alabama on Saturday, March 5 at 4pm on ESPN2.